It started with the biscuits. 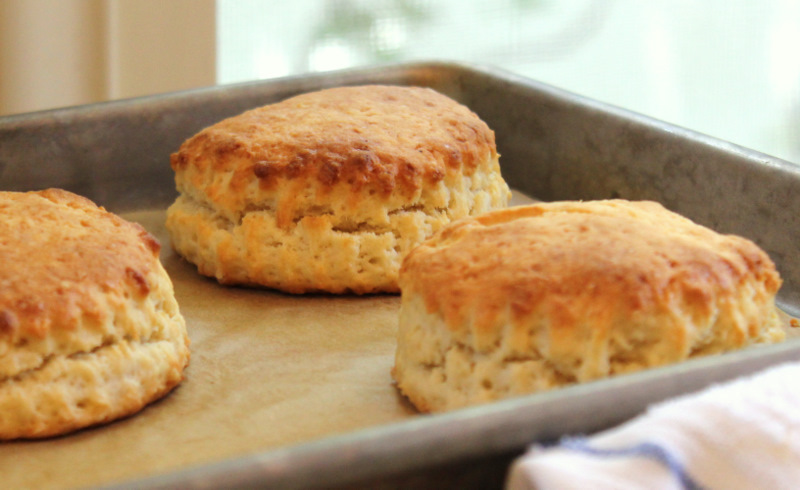 I got to thinking about Paula Deen yesterday and possibly eating biscuits with her down in Savannah and realized I’ve never made her biscuits. They take all of 12 minutes, including mixing time, and are luscious straight from the pan. Better with butter although they are sweet enough to not need honey. 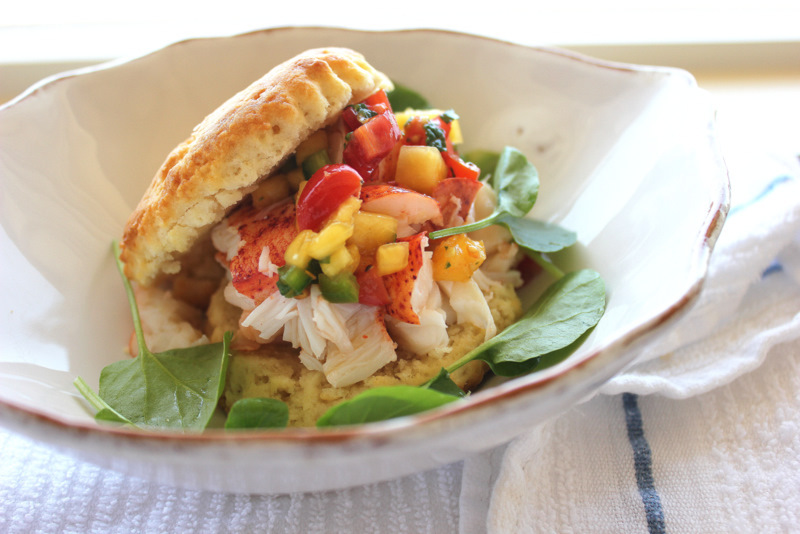 And they are incredible with fresh lobster meat and peach salsa. Which is how I ate them yesterday. Not exactly the lobster roll of my youth. My mom and I had something similar at a restaurant the first week I lived in New York. The restaurant is gone and the name escapes me but the meal had me dreaming of throwing a backyard dinner party and serving all my friends lobsters rolls on biscuits with fresh fruit salsa and grilled corn on the cob. In fact, I said I wanted to do that for my wedding. That and get away with the tomato-red lipstick the pretty hostess wore that night. This was a decade before Jenna Lyons took over J. Crew and brought back the casual red lip and I was starstruck by this golden girl. Combine all ingredients and season to taste with salt and pepper. Let macerate at least ten minutes and up to an hour before enjoying with fish, chicken or biscuits and fresh lobster meat. Oh my God, Shades of my childhood! Love it!